Old Street is a hub for the media and tech industry, but also a prime office location for emergening businesses and established brands. 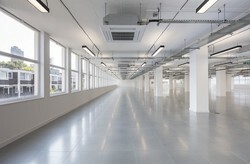 It's central location provides many opportunites to rent office space in East London. Running from Islington to Hackney, it’s been home to domestic buildings, shops, bars and more recently has become a hub for new tech companies. Surprisingly, there is also a plentiful amount of green space in this area of London and like its neigbour Shorestich it has a generally young, up-and-coming feel.